Luminous red, bold green and vibrant blue adorn the new Petite Promesse models, thanks to the novelty that is Banka leather. Made in France, it comes from the skin of quality rainbow trout, from a fish farm within the grounds of a 17th-century mill powered by the Arpéa River. 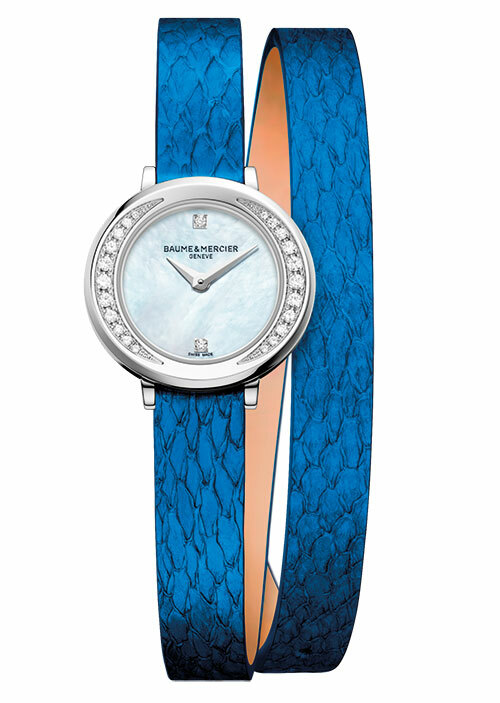 The scales form contrasting patterns that are accentuated by the tanning process, meaning that each strap is different! The product of an ingenious collaboration with Italia Independent’s founder Lapo Elkann and famous tailor Rubinacci, the Classic Fusion Italia Independent collection is the perfect blend of sartorial excellence and mechanical mastery. 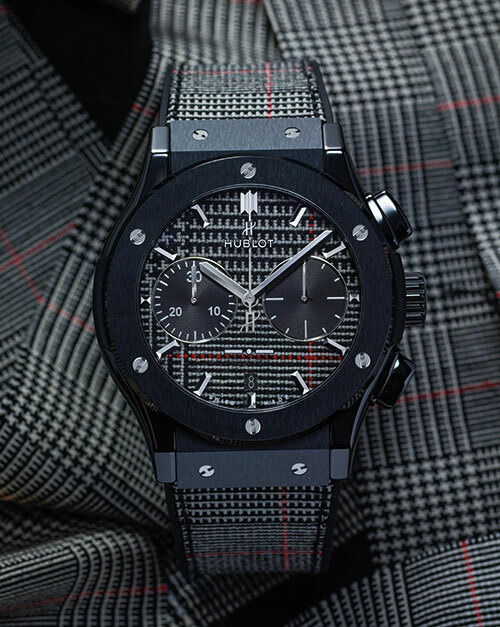 Within the House of Rubinacci’s precious assortment of more than 60,000 square metres of houndstooth, tweed and other materials and patterns, the visionaries uncovered tartan materials which have now been brought to life on the dial and straps of the brand’s 45-mm chronograph timepieces. 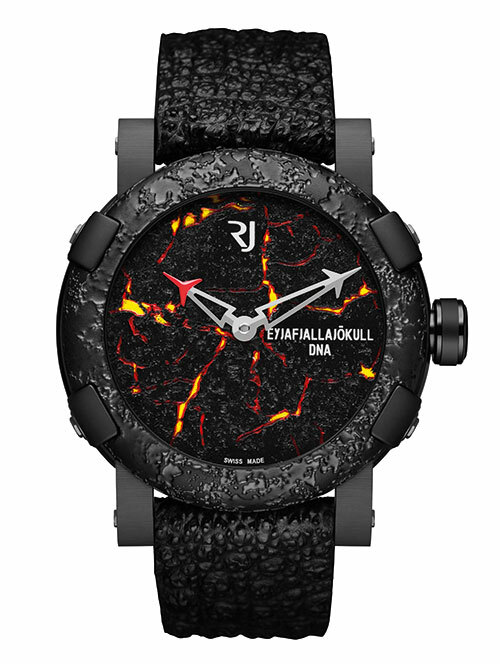 Paying tribute to the famous Icelandic volcano with an unpronounceable name, the Eyjafjallajökull-DNA Burnt Lava is one of the watchmaker’s finest models. 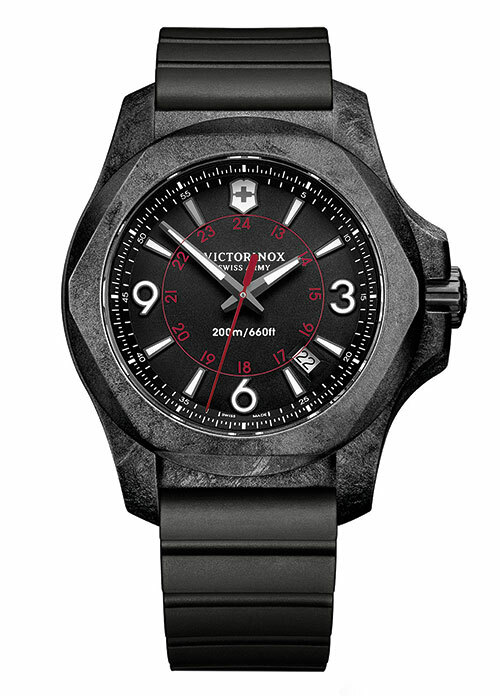 Its black PVD-coated steel case and structured bezel made of rusted and stabilised steel, enclose an onyx baseplate upon which genuine lava rock is meticulously handworked to recreate the phenomenon of the terrain cracking. The dial is further enhanced by red and yellow cold enamel representing lava trapped between the fissures. The dial variations of the Butterfly Kaleidoscope, handcrafted by artist Dominique Arpa-Cirpka, integrate genuine butterfly wings — under the strict control of and with full consent from relevant authorities. 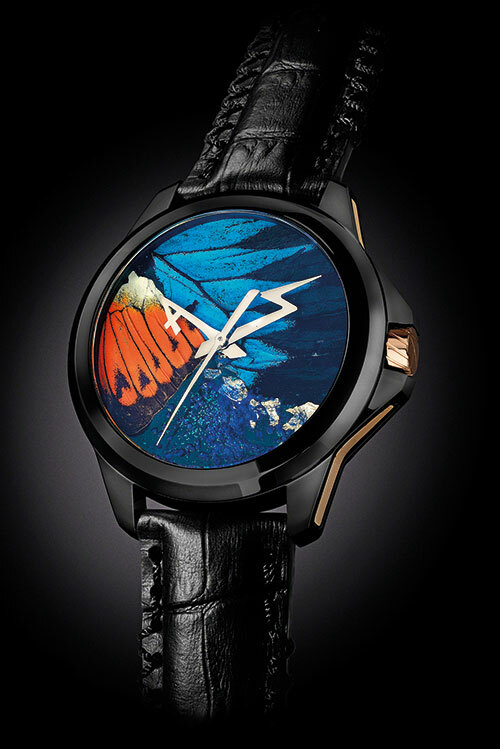 The mini masterworks, enhanced with gold leaf, feature wings from the colourful creatures of the Lepidoptera family, enclosed by a customised case and a black leather strap with hand-sewn top-stitching. 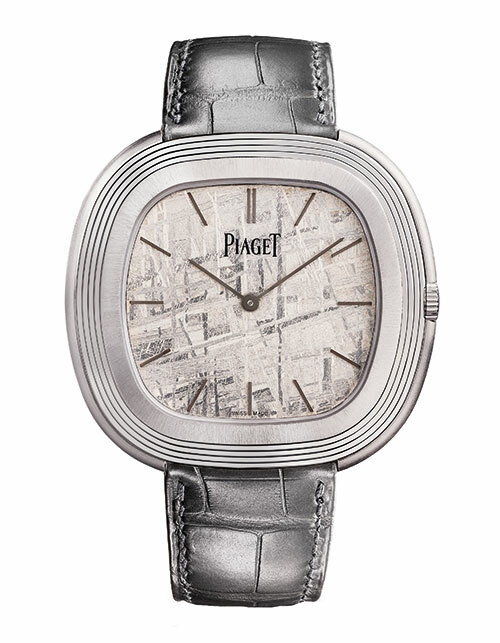 Classic with a twist, the Piaget Vintage Inspiration Meteorite Dial watch features an 18-carat white-gold case that is beautifully offset by a dial and hour markers in natural white meteorite. Straying from their signature glossy dials and thin polished hands, the brand does wonders for the watch’s legibility with the matt nature of its face. The lightest split seconds chronograph in the world, this is also the first wristwatch made in Graph TPT, a proprietary composite obtained by injecting a graphene-containing resin into layers of carbon fibres. 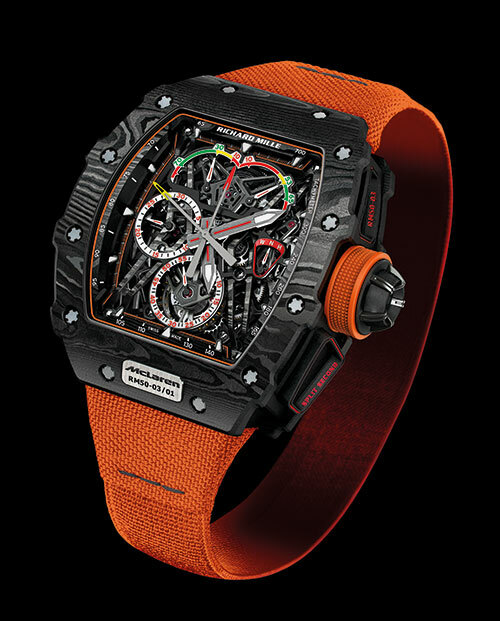 The RM 50-03 Tourbillon Split Seconds Chronograph Ultralight McLaren F1 weighs only 40 grams including its strap, which is crafted from graphene and carbon-reinforced Kevlar. As its name suggests, the case of the Vortex Bronze is sculpted in the alloy of copper and tin, and chosen due to its ‘living finish’ — each of the limited-edition pieces will take on a unique patina based on exposure to various elements through the way it is integrated into its owner’s life. 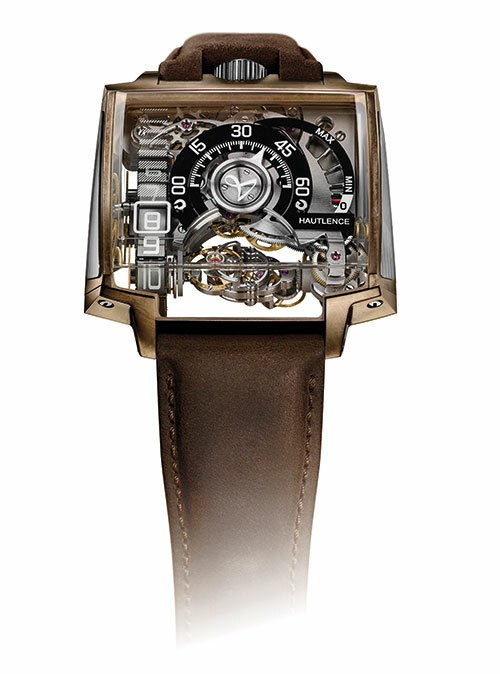 The openwork design of the case also showcases six futuristic sapphire crystals, retrograde minutes and a power-reserve indicator. Two purple LED lights illuminate highly radiant nanoparticles throughout the transparent dial of the H4 Neo, complemented by the brand’s exclusive microliquid technology. What’s more, the charcoal grey DLC-coated titanium case houses a skeletonised mechanical movement and is held by a fire-resistant, water-resistant and hypoallergenic fabric strap. 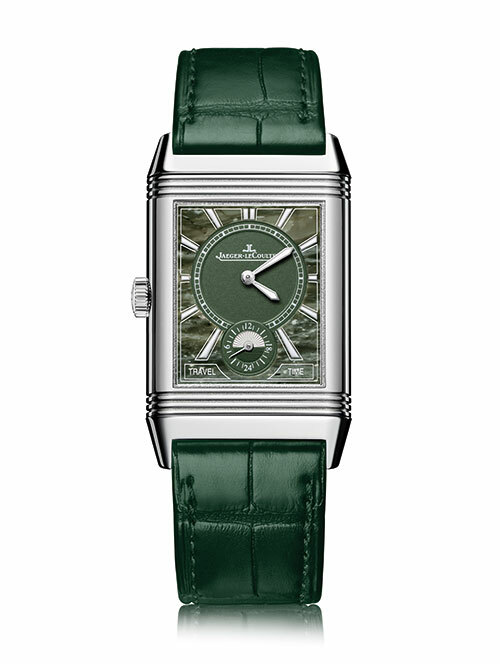 Introduced in 2016 as a way for women to customise their timepieces, this year’s Atelier Reverso offerings are for men. Among the collection is a trio of stone dials: grey meteorite, tiger’s eye (an amber-coloured gemstone with horizontal stripes) and our favourite — a military-influenced dial in green marble. 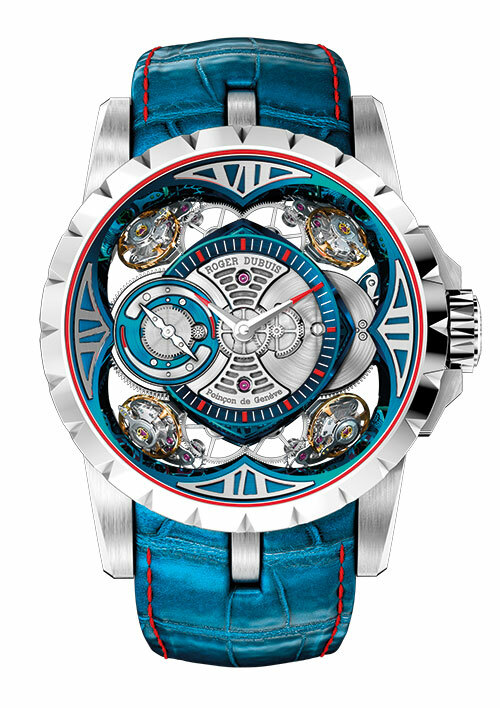 Cobalt chrome, the high-performance alloy that adorns the case, bezel, caseback and crown of the Excalibur Quatuor Cobalt Micromelt, is created using a process widely associated with aeronautics and astronomy. The exclusive MicroMelt technology represents just 0.1 per cent of worldwide metallurgy and results in a corrosion-resistant material which provides a stunning contrast to the blue dial, movement barrel cage, bridges and alligator leather strap. Rugged yet refined, the INOX Carbon is not only designed to be durable against shock, pressure, vibration and scratches, but can also stand up to elements like heat, cold, water, dust and UV rays. 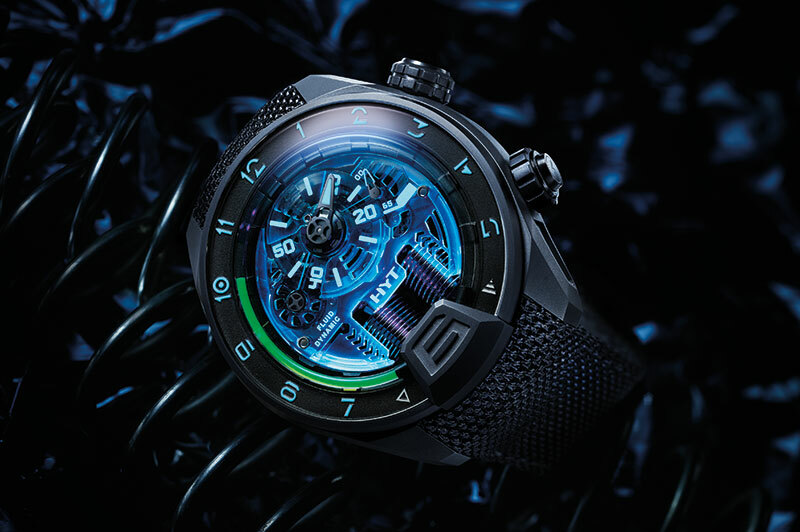 Making for the first black INOX case, the high-tech carbon material is lighter than both titanium and steel, while also being scratch-resistant.